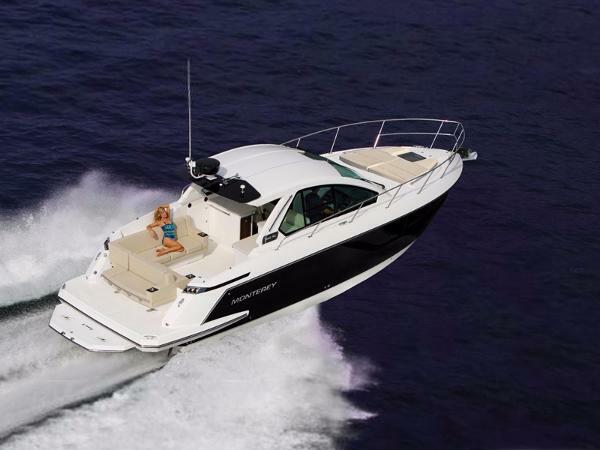 2017 Monterey 360SC Monterey 360 Sport Coupe available on the Florida/ Alabama Gulf Coast. Adorned with cleverly designed seating, unlimited amenities and superior entertainment arrangements, both above and below deck, the 360SC is truly the first of its class. Our new 360SC Coupe features a masterfully designed helm station with dual electric sliding helm/companion seats, dual wet bars, located both port and starboard, and an open seating area with L-lounge and cockpit table. Below deck a luxuriously appointed cabin awaits you with generous accommodations, featuring a spacious v-berth which converts from a comfortable bed to a dinette and seating area with solid wood table, and fully equipped galley. Beautiful full windows adorn the interior of the cabin allowing you to never miss a moment while underway. Just add your options, freight, prep and applicable tax and title. 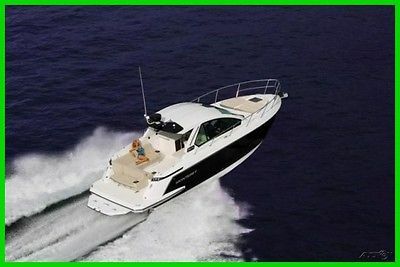 Contact Dealer for stock boat prices and options. 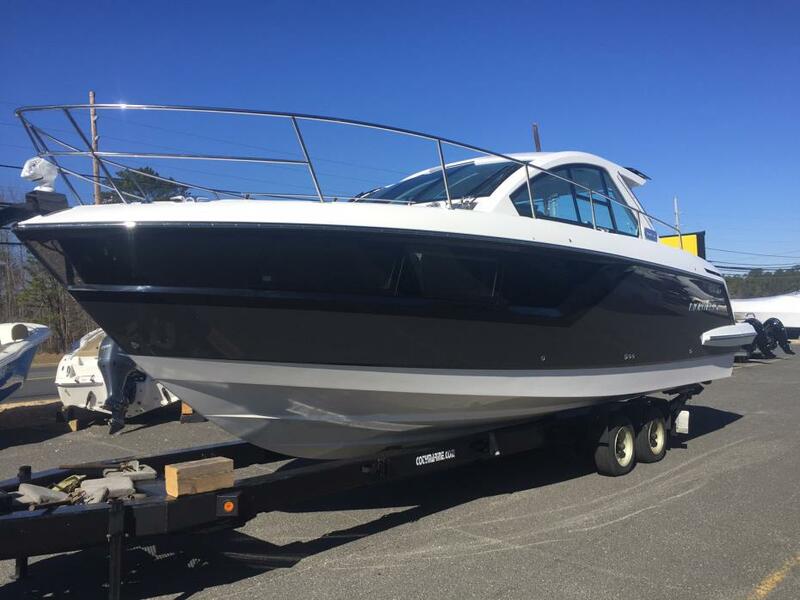 2017 Monterey 360SC COMING SOON! 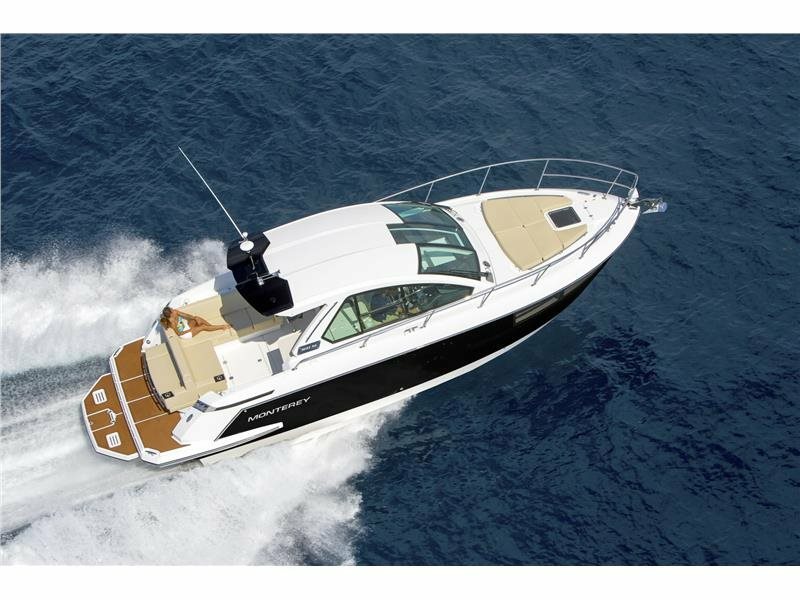 Monterey 360SC CHARISMATIC ELEGANCE AND STYLISH SOPHISTICATION Adorned with cleverly designed seating, unlimited amenities and superior entertainment arrangements, both above and below deck, the 360SC is truly the first of its class. 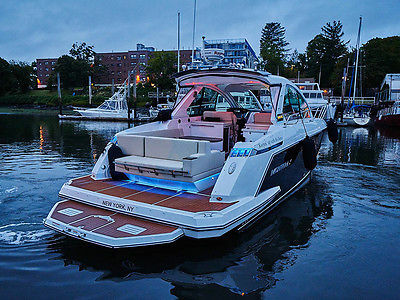 Our new 360SC Coupe features a masterfully designed helm station with dual electric sliding helm/companion seats, dual wet bars, located both port and starboard, and an open seating area with L-lounge and cockpit table. Below deck a luxuriously appointed cabin awaits you with generous accommodations, featuring a spacious v-berth which converts from a comfortable bed to a dinette and seating area with solid wood table, and fully equipped galley. Beautiful full windows adorn the interior of the cabin allowing you to never miss a moment while underway. Lifetime MVP Warranty We stand behind every boat we build with the best warranty in the industry - Monterey's MVP - the Most Valuable Protection plan. MVP is a shield that protects the most important elements of your boat. MVP begins with a Lifetime Limited Warranty on your hull and deck, transferable for up to 10 years. No one else can offer protection this strong! 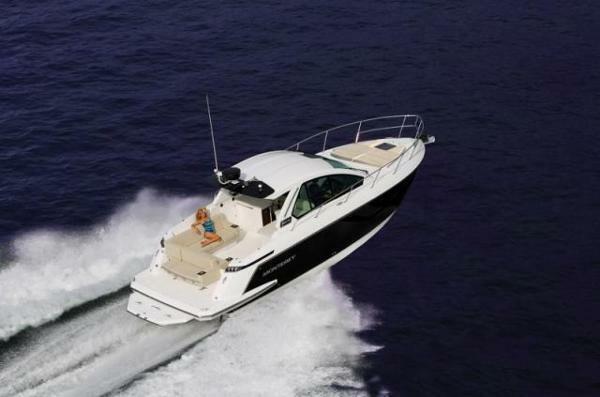 Features May Include: Luxurious Standard Features Each Sport Yacht interior has soft ultra leather upholstery, solid-surface counter tops, simulated teak flooring, and much more standard. Also included in standard features is the choice of one of multiple interior options on each model, all with rich luxurious patterns and colors. High Tech Entertainment Our Sport Yacht entertainment centers, with flat screen TVs and high end audio, are sure to impress you and your guests. 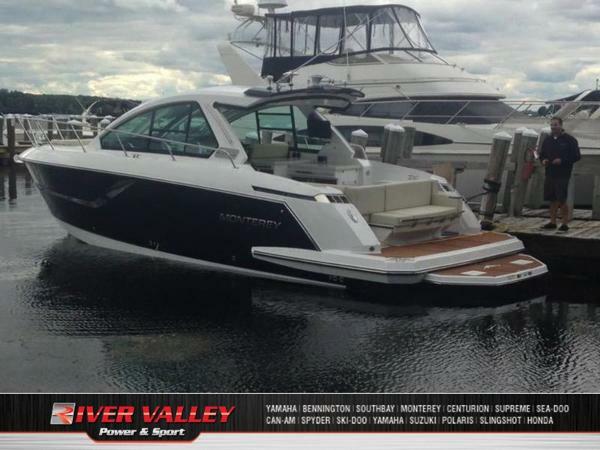 2015 Monterey 360 SC 37 Ft Cruiser Boat MINT! MINT! MINT Condition!This boat only has 75 hours and has been babied since it hit the water this past Spring. This boat has only seen the Long Island Sound and the bay, never the ocean. 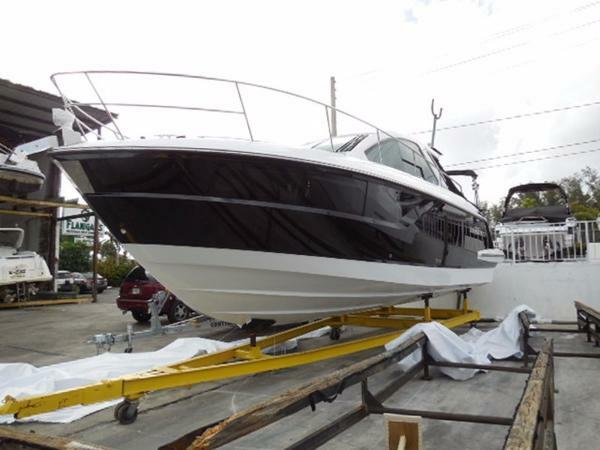 Not a scratch, dent or blemish anywhere.Sleeps four adults comfortably.Includes 5-Year Cruiser Warranty (expiring in 2019).The boat is currently located in New Rochelle, NY.Please email or call with questions or to schedule a viewing or test drive. Boat Information . Make: MontereyModel: 360 SCLength: 37' 10"Hull Material: FiberglassPropulsion: I/OHull ID: US-RGFYC106C515Engine 1:Engine 2: Fuel: GasolineTrailer: Not IncludedHull Side Color: OnyxCanvas: OnyxStandard Features Twin Mercury 377's MAG MPI CAT Bravo III w/DTS T-320 HP with SS PropsMercury DTS Engine OptionVolvo EVC Engine OptionLifetime Limited Hull WarrantyNMAA CertificationHead ModuleEnclosed FiberglassLED TV / DVD Player & Home Theater SystemWater Heater6 Gallon w/Engine Heat ExchangerGel Coated Bilge & Engine CompartmentWet Bar with Solid SurfaceSinkFaucetTrash Receptacle & StorageStainless Steel Thru HullsRubrailFitttingsFire Extinguisher SystemAnchor RollerStainless Steel Bow PlateStainless Steel Bow & Stern EyesStainless Steel Bow Hand RailsStainless Steel CleatsStainless Steel Pull-upHornElectric LightsNavigationLEDPortlightsStainless Steel w/Screens StorageAnchor w/Fiberglass Hatch (Drains Overboard)WindshieldCurved Tempered with Walk ThruCourtesy LightingBlue/ WhiteLED 12 VStereoFusion Satellite Ready AM/FMBuilt in Ipod Dock & 4 SpeakersCompassInstrumentation w/ Fog Resistant Gauges (Digital) & Low GlareMuch More! !Included Accessories / OptionsMercury Axius Engine OptionColored Hull Stripe (other than arctic ice)Seadek Swim Platform Inlay (Brown)Under Water LED LightsWindshield CoversCockpit Grill, Electric with Dedicated StorageCockpit TV / DVD 22 inch Flat Screen LEDIcemakerSeadek Cockpit Inlay (Brown)Stereo Upgrade Package (Includes Wet Sound Speakers. 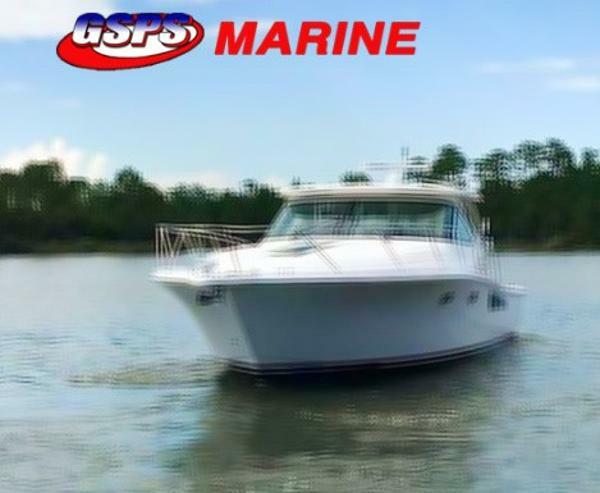 Wet Sounds Subwoofer & Amplifier)Optional Cabin Interior - BiltmoreA/C with Reverse Cycle Heat 16,000 BTU, Additional Shore Power Inlet and 50Ft CordCockpit A/C with Reverse Cycle Heat -(2) 12,000 BTUGas Generator -7.5KW Low Emission (Includes Remote Start & Soundshield)Macerator w/Overboard Discharge (N/A W/Grey Water System Option)Stainless Steel AnchorCoast Guard Package IncludedIncludes 5-Year Cruiser WarrantyMSRP Boat and Options: $446,061.00 Customer Service We are here to answer any questions you have and to assist you in your concerns. Please contact usprior to leaving us a neutral or negative feedback. We pride ourselves in having a personal touch with all of our customers and always want to leave you 100% satisfied. If you do not receive a prompt response, please note that we are in the office Mon-Fri 7am-5pm EST. Responses may be slower during weekends and holidays. Positive feedback is left automatically & immediately upon receiving the same. Payment and Shipping We accept all methods of payment. Payment is due within 3 days of auction ending. Your item will be shipped usually within 1-2 business days upon receiving payment. We ship using UPS Ground or USPS Priority. If you choose to do local pick up, sale is subject to 8.875% New York sales tax.Bid with confidence and thanks for checking us out!